Just by downloading this e-book, you have taken an important first step toward end-of-planning for yourself or a loved one. 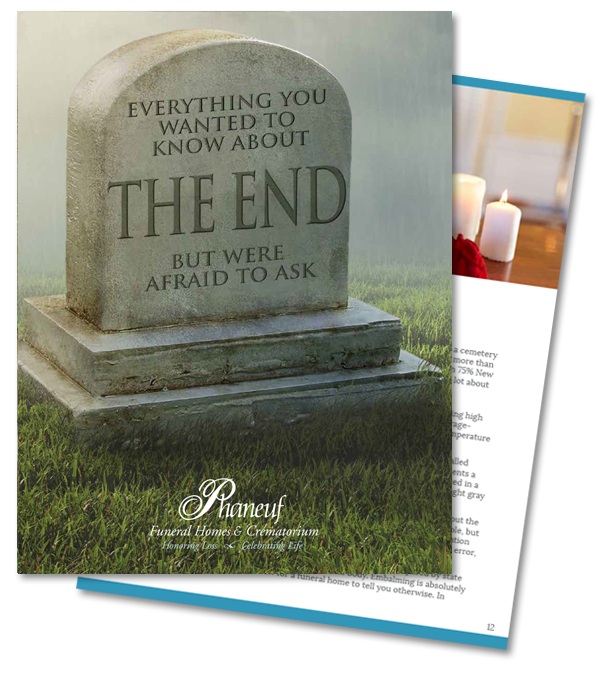 Our goal was to make a resource that explains the many options for end-of-life services, defines the terms surrounding those services and gives you some insight into how those services are priced. While the book does contain a great deal of information, you may still have some questions after reading. If so, you can always email here or call (603) 625-5777 or 1-800-PHANEUF (742-6383) to talk to a member of our compassionate, friendly team. You can click here to access the e-book in a PDF format at any time, too. Saving time being prepared is never a bad thing. Having a funeral planning checklist will give your loved ones an instant sense of relief knowing you made many of these decisions ahead of time. Funeral pre-planning allows you to enjoy today! It’s important to know that leaving passwords behind so loved ones can access your account may not be enough. There are three main things to consider when estate planning for your pets’ care as part of your funeral planning checklist. Click the button below to schedule a free, no-obligation consultation with one of our pre-planning counselors.